If you’ve been a follower of Jesus for any length of time, you know the importance of growing in your faith. So often, we get the notion in our minds that we have to work at it – and while there is some truth to that, we need to understand that it’s not our job. I’m fond of the definition of spiritual formation given by the late Robert Mulholland, who taught New Testament at a seminary in the United States. His definition of spiritual formation is that it is a process of being conformed to the image of Christ for the sake of others. When we come to faith in Jesus, it is not the end of a journey, but the beginning. When we begin our relationship with God, we submit ourselves to the process of being conformed – it’s not our job, but that of God the Holy Spirit living within us. And we are being conformed to the image of Christ – as the apostle Paul tells the church in Corinth, “the Lord—who is the Spirit—makes us more and more like him as we are changed into his glorious image” (2 Corinthians 3.18, NLT). That’s our goal – not to be “better people” or “more moral”, but to be more like Jesus. Why? For the sake of others. We don’t grow in faith for our own sakes, but so that the world God made and the people God loves may benefit, and glimpse more of his goodness through us. The work is God’s, but we are invited to be willing instruments. Position yourself for growth this year. I’ve never read a book by Ruth Haley Barton that didn’t speak to my heart, and this is no exception. Being a teacher of and on retreats, and a regular retreatant myself, I was looking forward to reading this small but helpful guide to the how’s and why’s of making a retreat. For many Christians, especially Protestants, retreats are foreign, something made by Roman Catholics or disguised as preaching or evangelistic events. Those are certainly legitimate and useful, but Barton’s subtitle, “The Gift and Necessity of Time Away with God” hits the nail on the head of what a retreat should be. The book is divided into four sections, introducing the concept of true retreat, preparing ourselves for retreat, what to undertake during retreat, and how we move back into day-to-day living from retreat. Each of the twelve chapters offers practical assistance to the retreatant in terms of preparation and execution of the retreat. Two appendices are offered for guidelines for fixed-hour prayers and planning a retreat. For the person considering a retreat but not sure where to start, this book is a good place to start. It helps us know ourselves as individual followers of Jesus as well as giving us tools for introspection when gearing up for a retreat and actually being away. Among the key learnings, of which there are many, is to understand oneself as being able to be off-limits to anyone but God during that time, that none of us is indispensable. Needing to be connected, 24/7, is often one of the biggest hurdles to an effective retreat, and Barton reminds the reader that such disordered attachments are not helpful to connecting fully with God. Retreat is one of the main gateways to true spiritual freedom. This book is a helpful guide in aiding us to achieve the true spiritual freedom the Lord seeks for us. Ruth Haley Barton, Invitation to Retreat: The Gift and Necessity of Time Away With God (IVP, 2018), ISBN 978-0-8308-4646-7. I am grateful to Martin at Parasource for the desk copy he provided for me. The book is available at most Christian retail outlets, including the Tyndale Bookstore in Toronto. Knowing my interest in spiritual formation, a friend and colleague gave me this book, written by a friend of his. Intrigued by the subtitle (“The Art of Being Friends With God and a Few Others”), and the brevity of the book (it’s a quick read at about 100 pages), I jumped right in. The author is the founder of Touchstone Ministries in Orangeville, Ontario. His business is to nurture friendships among Christians in leadership in various walks of life, and his book illustrates why that is important to him, and hopefully, to the rest of us. Spiritual friendship is a model of spiritual formation that can complement other ways of going deeper with God. To illustrate his understanding of this model, Allen draws from the rich breadth of Christian tradition – from the Celts to C.S. Lewis to Miroslav Volf . He tells many stories of his own experiences in spiritual friendship that have both blessed and challenged him (as any good friendship should). We may say we have a lot of friends, when in reality what we probably have is a lot of acquaintances. How many others know us at the depth of our being? There are no gold stars for the number of friends we have who can read us like a book, of course, but there is great value in having at least one friend with whom we can share deeply, and mutually. It becomes easy for hard sharing to be one-sided, where one person becomes vulnerable and the other simply listens. But in order for a spiritual friendship to be truly mutual, it must involve both parties sharing deeply – not in an attempt to one-up the other, but to be transparent and honest with the other. Spiritual Friendship will challenge and encourage you to find and engage in a friendship with another Christian who will walk with you as you walk with God. I recommend you pick it up. 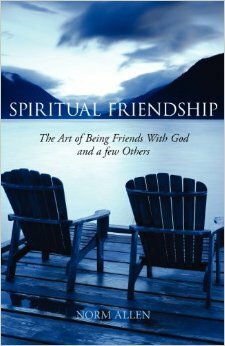 Spiritual Friendship: The Art of Being Friends With God and a Few Others by Norm Allen, published in 2012 by Clements Publishing Group, Toronto. ISBN 978-1-926798-08-0. When we want something, we want it now, don’t we? While that can work for coffee, our spiritual formation doesn’t happen so quickly. Robert Mulholland, Jr., in Invitation to a Journey (IVP, 1993) defines spiritual formation as a process of being conformed to the image of Christ for the sake of others. In this message, based on Ephesians 1.3-8, we explore what this understanding of spiritual formation means for us as followers of Jesus. You can listen to it by clicking here. 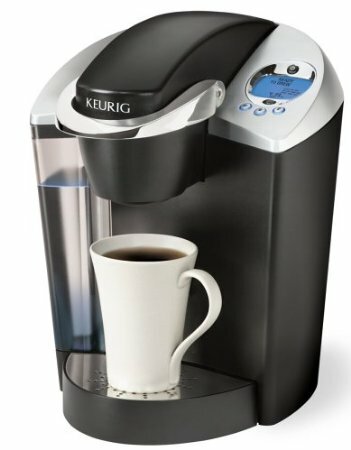 The initial noises you hear are my Keurig machine making me a cup of coffee…instantly. The video that’s shown near the end of the message can be viewed here. Summer is often a time when we can slow down and do things we really enjoy. For me, one of those things is reading. It’s been a while since I suggested some good summer reading for you, so I’ll take the opportunity to do that now. Of course, you could read these at any time of the year you wish! But here’s a short list of books that will help build your faith and encourage you in your growing walk with the Lord. I put this list in our church’s summer edition of the newsletter. These three books by Barton give a good introduction to practical ways to be formed spiritually in the Lord. It is her video study we’re doing throughout much of June and July at St. Paul’s Church, Nobleton. I have heard her speak in person, and her writing is just as compelling. She has been a ground-breaking writer in the field of spiritual formation for many Christians. Her writing style is easy to read and you’ll find great helps for building your faith. Mangis’ thesis in this book is that the seven “deadly” sins, as they once were called, can be seen as the foundational sins from which our typical sin patterns emerge. It’s likely, he says, that we each have a “signature” sin from among the seven. What we often find ourselves confessing is not sin but symptoms of sin, and that, as Dallas Willard said, we tend to engage in sin management more than anything else. Each chapter closes with useful questions for reflection, and there is a group study guide at the back. While this book is by no means new, it is an excellent overview of what it means to be formed in Christ. Mulholland correctly identifies that our spiritual formation is not something we do just for ourselves, but that it happens for the sake of others. These are just a few books that can accompany you to the real or virtual hammock this summer. Enjoy the rest, and remember to keep growing! What do you want Jesus to do for you? At St. Paul’s, Nobleton, we have a small group discussing a video series by Ruth Haley Barton entitled Sacred Rhythms, based on her book of the same title. In last night’s introductory study, we looked at the story of Bartimaeus in Mark 10.46-52. 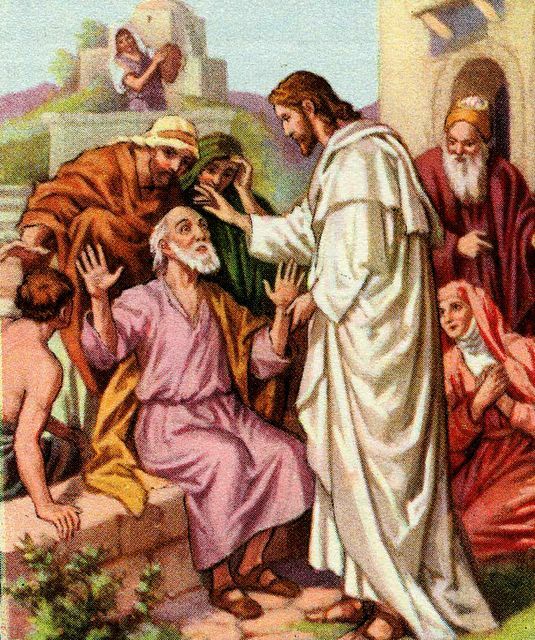 In it, Jesus asks a deeply probing question: “What do you want me to do for you?” (v. 51). Have you ever considered that? Have you ever opened yourself to express your deepest desires to Jesus? Because Jesus is God, he already knows our deepest desires, but there is something powerful, something intimate, about expressing them ourselves. It’s like telling our spouse what we want to experience sexually – it’s that intimate, and arguably more so. Perhaps that can be, today, your entry point into a more intimate relationship with the Lord. Sit quietly as you ponder what you most want from the Lord. Take time to tell him your deepest desires. Allow yourself to be shaped by the Holy Spirit as you express them. Why not do it right now? As you read this, I will be en route to Bangalore, India, where I will be providing spiritual direction to pastors and students (and possibly their family members) at the South Asia Institute for Advanced Christian Studies. A team of six of us are helping to equip leaders of churches with new tools for spiritual formation. This is a new thing for me. And as I’ve told my congregation, it’s way outside my comfort zone. The last few days of preparation were remarkably difficult, because my dear wife and I, in twenty years of marriage, have never been apart for three consecutive weeks before! However, I pressed on, because I know God is in this in a powerful way. One of the things I know this trip will teach me is just how global the church really is. Never having flown farther than Vancouver before, I know this will stretch my picture of human society and enhance my understanding of what God can do in the world. In that sense, I will almost certainly receive more than I give in this trip, but I hope to make a contribution to the Asian church as it enriches its understanding of spiritual formation. God is at work all around the world. While we in the North American church lament the closure of congregations and bicker over points of biblical interpretation and theological practice, the church in Asia bustles with excitement and activity. People come to know Christ every day. And I’m excited that I get to be part of that for just a few weeks. “Therefore go and make disciples of all nations, baptizing them in the name of the Father and of the Son and of the Holy Spirit, and teaching them to obey everything I have commanded you. And surely I am with you always, to the very end of the age” (Matthew 28.19-20, NIV). Wherever in the world you go to make disciples, know that the Lord is with you. Please keep our team in your prayers.